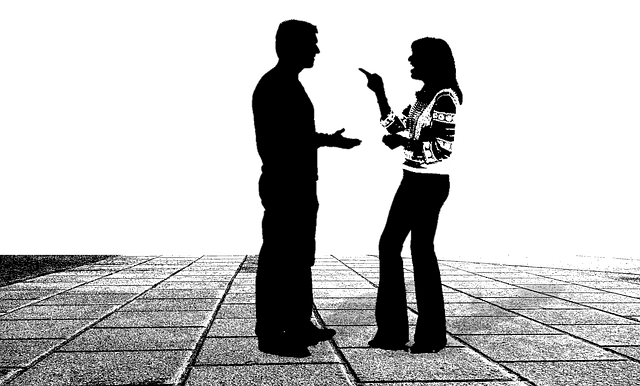 Today’s post discusses part of a previously-mentioned workshop on managing difficult conversations in the workplace. The workshop was led by Pamela Heffernan of Performance Management Associates. If you want to find out more about leadership development workshops like this one, she can be contacted at PHeffernan [at] PerformanceManagementAssociates [dot] com. Difficult conversations can be managed effectively by following a process of preparation, engagement, exploration, and resolution. To prepare, focus on the specific problem you want to resolve. Question your story; don’t rely on assumptions. What don’t you know about the situation that might be relevant? Also define your opening statement – the first words that will come out of your mouth – to frame the conversation around the issue at hand. This statement should be a maximum of two to three sentences and include an open-ended question that minimizes the other person’s defensiveness. To engage, take a position of neutrality, talk with the person rather than at them, and ask questions to find out what you don’t know – what are the reasons the person is acting the way they are acting? Identify the person’s fear and address it: “I think you’re afraid of X. Is that correct?” Your task is to listen with curiosity. Only then will you be able to respond in an appropriate manner. Next, explore potential alternatives. Focus on outcomes. What does success look like, and how do we get there? Ask “If you were in my shoes, how would you see this?” At this point you will probably know if the other person understands the impact of their behavior, wants to change, and is coachable, or if the person lacks the necessary self-awareness. In the latter case, the only choice, if you’re in a managerial position, as an instructor is with a student, is to require compliance. Finally, develop a plan for resolving the situation. Establish agreement on who is going to do what when, and document it to hold the person accountable. A follow-up email becomes the launch point for the next conversation. < Previous What’s the point?